Elder Ronald A Walker, Sr.
Elder Ronald A Walker, Sr. is a native of Washington, D.C., born to the late Linnaeus and Janet Walker. He attended D.C. Public Schools, and furthered his education at Delaware State College and Federal City College where he earned a Bachelor of Arts Degree in Economics. In addition, he attended the Apostolic Christian College where he earned a Bachelor of Arts in Theology and Masters of Theological Studies. In 1966, Elder Ronald Walker entered the United States Army. He completed Basic Training in Ft. Bragg, North Carolina and was stationed at Ft. Dix, New Jersey as a Supply Clerk. In 1968 he completed the Quartermaster School at Ft. Lee, Virginia and received an Honorable Discharged from the U.S. Army. After his Honorable discharge in 1968, Ronald was employed at the Pentagon for 36 years under the Defense Intelligence Agency as a Computer Specialist. Elder Ronald Walker has been a member of The Way of the Cross Church of Christ since 1968, where his pastor was the late John L. Brooks. He was baptized in 1968 and received the Gift of the Holy Ghost January 1971. 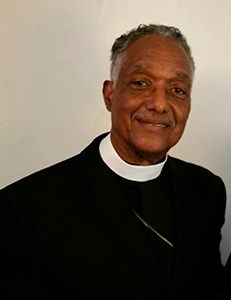 Elder Ronald Walker was appointed a Deacon in 1977 by his current pastor Bishop Alphonzo D. Brooks and ordained in 1980. In December 1991, Elder Walker answered God’s call to the ministry and in 2001 was ordained an Elder and received his ministerial license. Currently, he serves as Chairman of the Elders and Ministers Board and Visitation Elder for The Way of the Cross Church of Christ, Mother Church. Over the years Elder Walker served as an Instructor for The Apostolic Christian College, Chairman over the Junior Youth for Christ, Assistant Superintendent for the Sunday School and counseled engaged and married couples. In 2003 he was appointed as Chaplin for the Specialty Hospital of Washington, D.C., now called Bridgepoint, where he held Bible Class every Thursday morning until 2005. In addition, he conducted Bible Class at the Pentagon and Boiling Airforce Base for 2 years, and he maintained The Way of the Cross Church of Christ 24hr Prayer Line for eleven years. Elder Walker is known for always illustrating the Love of GOD. Whether at the store or on the street you can find Elder Walker ministering about Jesus. He would go to the Court House and pray with juveniles scheduled for trial and their families. Elder Walker also traveled to Atlanta, Georgia to spend time with Bishop Carlos and Lisa Simon of Galilee WOTCC and Bishop Thomas and Hazel Harrison of Solid Rock WOTCC. Elder Ronald Walker has been married to Justine L. Walker for 47 years and is the father of three children, Ronald, Jr., Sharnita, Kendrick, one son-in-law, David Riley, one daughter-in-law Miia and three grandchildren, Malachi, Kendrick, Jr., and Kenlee. Elder Walker is an open vessel willing to be used by the LORD in the gift of healing. He enjoys teaching, preaching and proclaiming the Gospel of Jesus Christ.